Capitalizing on its unique characteristics can help you fully realize the potential of five-axis machining. There is always a correlation between the market for a product and technology. The trend towards reducing the number of components, for example, has led to increasing complexity of individual workpieces. The availability of five-axis machining followed by five-axis simultaneous machining intensified this trend, and has ultimately resulted in multi-axis milling operations gaining a foothold in prototype construction, tool making and moldmaking, aircraft construction, and serial production. 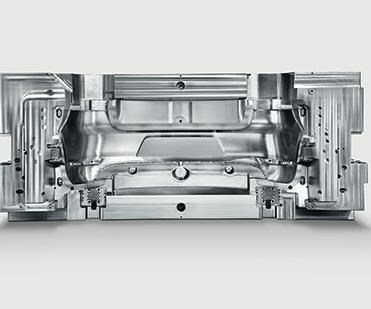 This five-axis success story has been limited primarily to Europe, and in particular German-speaking regions, but acceptance of five-axis milling on a wider scale is growing. In particular, U.S. customers are recognizing the fascinating possibilities of this technology. Let’s take a look at key features and functions of five-axis machining technology. CAD/CAM software for machining is also developing to consider the specifics of 5-axis machines. A typical example of such are the revolutionary products of Vero Software for sheet metal fabrication, mill turn equipment, manufacturing of moulds and dies. 5-axis machining is supported by Radan, Edgecam, VISI and WorkNC software solutions. Let's look into most significant functions and capabilities of 5-axis metal fabrication. The majority of five-axis tasks involve spatial positioning of the tool, which already generates an enormous gain in flexibility as well as drastically reduces logistical costs by eliminating the number of tools and allowing use of a standard vise instead of fixtures. Five-axis machining also offers technological benefits that directly impact the quality of machined surfaces. This can be seen clearly in machining of an inclined surface. A three-axis machine would need to machine this surface in many small, incremental cutting steps, whereas five-axis positioning allows the tool to be arranged at the required angle to the surface so it can remove the material in a single step. The result is better surfaces produced faster. In addition, this positioning permits tools to be used more efficiently; inclining them with the same feed rate allows the use of longer cutting lengths, which reduces cutting forces. The fascination with five-axis machining comes primarily from the possibility of simultaneous machining and the unique degree of freedom this technology offers, with unlimited spatial machining possibilities, and where geometries and contour characteristics are concerned. However, the complexity of the application requires that the machine be appropriately prepared to ensure an adequate process chain, which influences the result of the machining process. For example, simultaneous machining demands a CAD/CAM system with a suitable postprocessor to ensure a safe and collision-free process. Simultaneous machining complexity also requires employees to possess a certain level of competence, otherwise operation restrictions need to be determined. Vero Software's Edgecam, VISI and WorkNC products offer specialized techniques and tools that can check the developed toolpath and detect any possible collisions, offering solutions to prevent them. The collisions can be eliminated using kinematic simulation modules of the software. In many cases, a workpiece can be machined completely in a single setup, increasing productivity and precision. Other times, depending on workpiece complexity and geometry, even subsequent processing steps such as manual polishing and EDM can be eliminated completely. Also, modern carbide, cubic boron nitride (CBN) and polycrystalline diamond (PCD) tools, along with high cutting speeds, allow even materials as hard as 60 HRC to be machined with maximum precision to 5 microns with surface roughness (Ra) ranging to 15 microns. Five-axis milling also allows the steep surfaces, deep cavities and narrow grooves in a mold to be machined with shorter tools and at angles allowing difficult areas to be reached. This cannot be accomplished with three-axis machining. In five-axis machining, the milling tool is guided in five axes in relation to the surface of the component. The working angle of the tool can be changed at every point along the milling path. This ensures that the angle is always optimal in terms of chip removal and cutting speed, and that cutting conditions on the edge of the tool remain constant. It also ensures that strategies for the milling calculations can be aligned flexibly to the geometric requirements. For example, with the cutting speed at the tip of a ballnose cutter at zero and the angle to the surface kept constant, the cutting speed also remains constant. Compared to conventional milling processes, the free geometrical orientation of the tool in five-axis milling enables considerably shorter machining times. This time savings is achieved by milling a slant surface in one step instead of several steps (see Figure 1). In addition, five-axis milling allows the use of relatively short, sturdy tools, which have a positive effect on cutting values, chip cross-sections and tool deflection. The reduced deflection of these tools allows higher cutting rates and fewer vibrations on the tool cutting edge (see Figure 2). (A long tool is more flexible and tends to experience more vibration than a short, sturdy tool.) As a result, it is much easier to achieve excellent surface quality, and a high level of dimensional and shape accuracy. 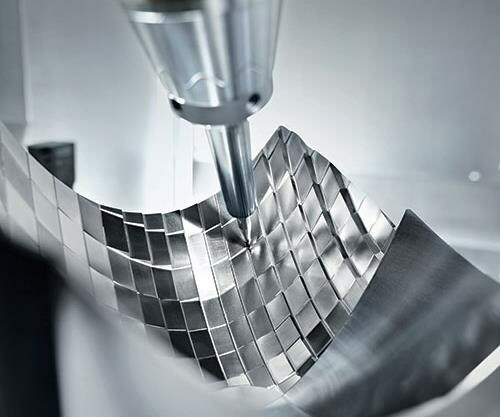 With minimal vibrations, five-axis milling also yields more stable process conditions, which lengthen the service life of the tools. It also reduces the number of required tools, which can decrease tool costs by as much as 50 percent compared to three-axis milling. minimizes heating of the tool and workpiece material, and positively impacts surface quality and tool service life. 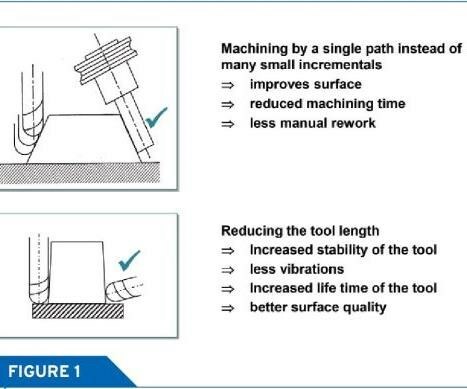 Smaller cutting forces lead to reduced wear and increased tool life, which increases process reliability. In addition, the smaller cutting and passive forces lead to reduced deflection, so the tool path is closer to the programmed path, helping to meet higher dimensional and geometrical accuracy demands. Despite the limitations on cutting depths, the fast cutting speeds achievable during high-speed milling allow higher removal rates and shorter production times. The smaller steps and chips produced during high-speed milling also lessent the tendency toward formation of burrs, reducing or eliminating downstream finishing. Also, reduced thermal burdening during the process positively affects the peripheral zone properties of the machined workpieces. This occurs when low heat remains with the workpiece as the process temperature is dissipated with the chips. Heat changes material characteristics, such as its metallographic structure and hardness, but as the temperature is dissipated with the chips during high-speed milling, the material characteristics remain unchanged. Linear direct drives are essential to high-speed milling, as their rapid traverse (ranging to 90 m/min. ), acceleration (ranging to 2G) and backlash values far exceed those of conventional drives. This means higher dynamics and results closer to the programmed geometry. Linear direct drives are also free of friction, backlash and wear, which guarantees constant precision. A Kv factor (speed/stroke gain) is the relationship between the actual speed of the tool and control deviation. It is equal to the speed divided by the difference between the target position and the actual position (see Figure 3). 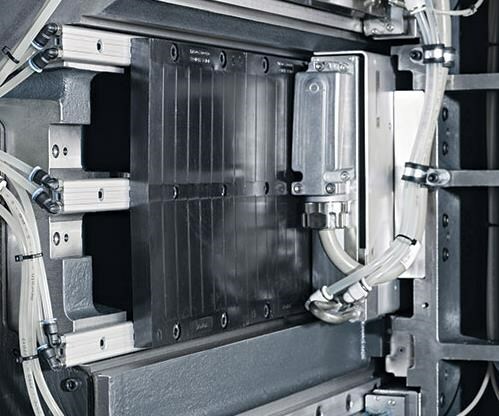 A large Kv factor is achievable when high-speed milling is combined with a high-performance control with a powerful processor, large memory and RAM for a large look-ahead function. It enables reduced servo lag and excellent positioning accuracy, even with fast travel speeds. The Kv factor influences machine tool precision. The more precise a contour has to be machined, the slower the movement has to be using the same Kv factor. This factor must be increased if the same precision is required but with a faster speed. This requires more computing power and better controls. A final consideration is that ballscrew drives are subject to torsion, friction and thermal growth, whereas linear drives are not, resulting in better control characteristics. Hence, the reverse play and elasticity of a linear direct drive’s power trains are eliminated. This provides high static rigidity, as deviations through bearings and wear are eliminated, and high dynamic rigidity, as linear drives are not influenced by torsion. Contact-less power transmission also means that the direct drives operate friction-free, without any wear. A multitude of five-axis machines are available today in different versions, axis configurations, and classes of dynamics and precision, accommodating a variety of workpiece dimensions and component weights. When preparing for your next machine tool investment, consider the aforementioned features and functions to ease the decision-making process.